Dr. Nickolaychuk and Dr. Kotyk are looking forward to helping you get your perfect smile! We work with many adult patients at our practice. 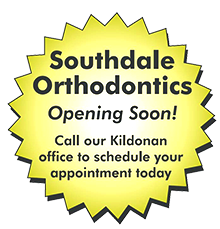 We provide a friendly and relaxing atmosphere where patients can enjoy a stress-free orthodontic experience. Contact us today to schedule an initial consultation with Dr. Nickolaychuk or Dr. Kotyk. Orthodontic treatment can be successful at any age, and adults especially appreciate the benefits of a beautiful smile. One of every five patients in orthodontic treatment is over 21. Adults also may have experienced some breakdown or loss of their teeth and bone that supports the teeth, and require periodontal treatment before, during, and/or after orthodontic treatment. Bone loss can also limit the amount and direction of tooth movement that is advisable. We offer traditional metal and clear braces, as well as Invisalign® invisible braces for adults.